Victoria University is celebrating the ten-year anniversary of the Victoria Plus Programme and the Victoria International Leadership Programme (VILP) — both designed to recognise student leaders and their contribution to the local and global community. My journey with the Victoria Plus Programme and VILP began during Orientation Week of 2016, my first year at Victoria University. As any true ‘fresher’ I spent my first week floundering my way around campus, trying to find as many freebies as possible to decorate my new hall of residence bedroom. While on this mission, I came across two short information sessions for leadership programmes at Victoria University. I’d always fancied myself as a leader—someone who could take change and make decisions for the team—so I signed up to see where it would take me. 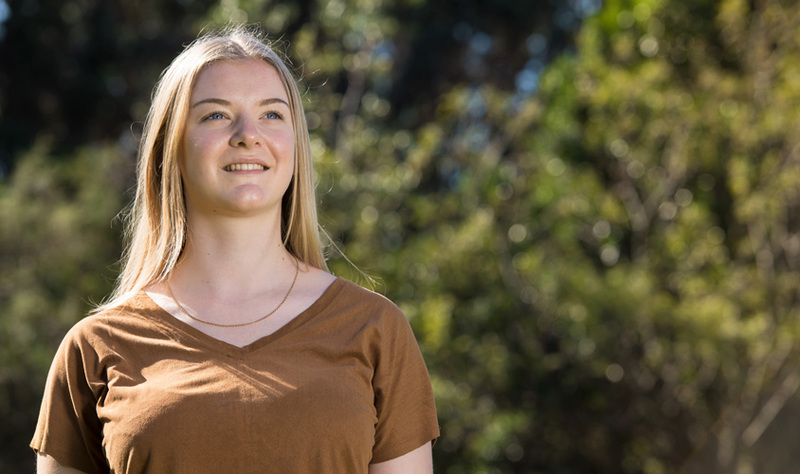 Rachael Nunn has been involved in both the Victoria Plus Programme and VILP across her studies at Victoria University. Over the past two and a half years, my extracurricular experiences have completely redefined what leadership means to me. I now understand that a true leader is someone who knows themselves, can work with a diverse range of people, is passionate about what they are doing, and is excited to take risks and try new things to exceed expectations. I moved from Tauranga to study in Wellington, and the Victoria Plus Programme has helped me excel in this transition. It encouraged me to step outside of my comfort zone in a new and exciting city and has opened doors I would never have known existed. I now have a better understanding of my strengths, and I’m better equipped than ever to join the workforce and pursue a rewarding career. Rachael planted trees in Wadestown as part of the Growing Graduates Programme. While my academic endeavours brought me to Victoria University, I believe it’s my passion for leadership and giving back to the community that has truly shaped my experiences. Victoria Plus motivated me to immerse myself in volunteering, which is a big part of Wellington’s culture. From tree planting in Wadestown as part of the Growing Graduates programme to mentoring students through Peer Assisted Study Support (PASS) classes, I can confidently say that my time at Victoria University has unequivocally exceeded my expectations. Rachael Nunn is a commerce student majoring in Human Resource Management and Industrial Relations, and Marketing.